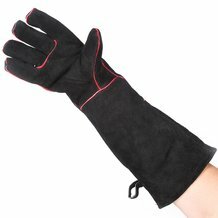 Protect your hands from the heat and flames of your stove. Long length keeps forearms covered, extra protection in fingertips and palm. 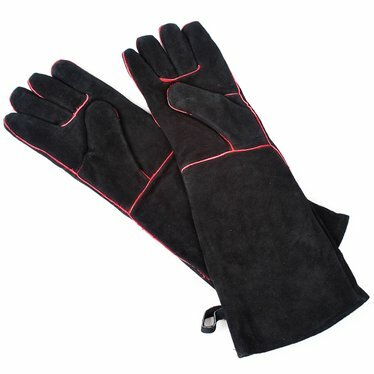 I love these gloves - they fully protect my hands and arms up to my elbow, and fit my hand well. I'm a woman, 5'9, with medium large hands. I think they would be too small for most men's hands. These gloves cover your hands up to your elbow. I have big hands and I wish there were a larger size because they are tight. Wearing a long sleeve shirt, I have trouble getting them on. Maybe they should flair more at the ends. They are excellent protection for my wife's arms.